The District has issue an update regarding the Multi-Tiered System of Supports process the District has put in place. In 2018-2019, the proposed Future Ready PA Index will serve as Pennsylvania’s one-stop location for comprehensive information about school success, and will use a dashboard model to highlight how schools are performing and making progress on multiple indicators. Read more about it above! Please click on the 1:1 Initiative tab under this menu for detailed information about end of year device information and inventory procedures. The Upper Perkiomen School District is seeking school and community member feedback on how a portion of federal funds are allocated within the school district. Please complete the survey linked above and share your input on school and community priorities for Upper Perkiomen School District by June 30th. SchoolCafe is the system UPSD uses to manage lunch menus and online deposits into childrens' lunch accounts. Click the link to setup a SchoolCafe account and enjoy the benefits. Looking for employment opportunities? Please visit the Employment Opportunities page for information on available positions and the application process. Parents and guardians have the ability to see a wide range of information, including grades, daily assignments, attendance, class schedules, bus information, the Message Center, etc. If you would like to distribute information via the District, please review our Flyer Distribution Request page. All Board and Workshop meetings are held at the Education Center - 2229 East Buck Road, Pennsburg. 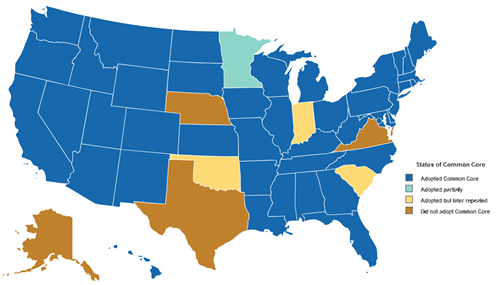 Forty-two states, the District of Columbia, four territories, and the Department of Defense Education Activity have adopted the Common Core State Standards. Teachers, parents and community leaders have all weighed in to help create the Common Core State Standards. The standards clearly communicate what is expected of students at each grade level. This will allow our teachers to be better equipped to know exactly what they need to help students learn and establish individualized benchmarks for them. The Common Core State Standards focus on core conceptual understandings and procedures starting in the early grades, thus enabling teachers to take the time needed to teach core concepts and procedures well—and to give students the opportunity to master them.